For yet another round of movie promotions, Alia picked a yellow Manish Malhotra suit to wear. And for the screening, it was a Pero dress. She looked good in both. Loved the cheery yellow on her. And the summery dress worked well too; much preferred it without the jacket though. LOVE LOVE the yellow suit! So pretty! Finally! The vrat is over. We had overdosed on those anarkalis and suits. I like the change of hair with the MM, makes her look youthful again. P &P, Could you please feature KJo from the screening? With the shades please? Forgive? And she needs that from you, you think? YES! Can we have the old Alia back? I’m glad the phase is over. Goes to show that not everyone can carry off the ornate Sabyas and heavy anarkalis. As a petite/short person myself, her outings during the movie were an eye opener to how these big silhouettes look on shorter people. Will stick to less ornate clothing, fun dresses and cleaner/sharper tailoring. Thank you Alia. I love the Pero dress even though I think Pero is too expensive for nothing.. She looks pretty there. 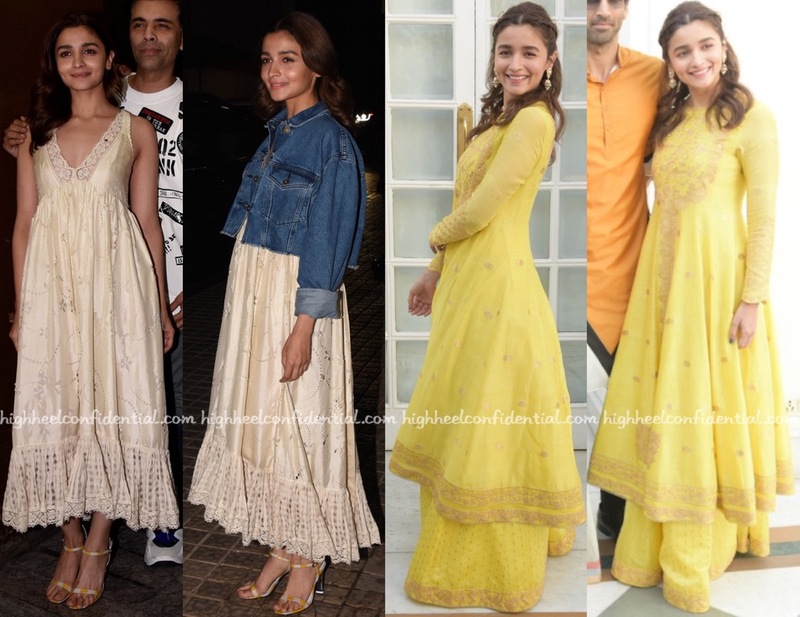 MM is a good color but I am fatigued with the overexposure of Indian outfits from her end at this point. 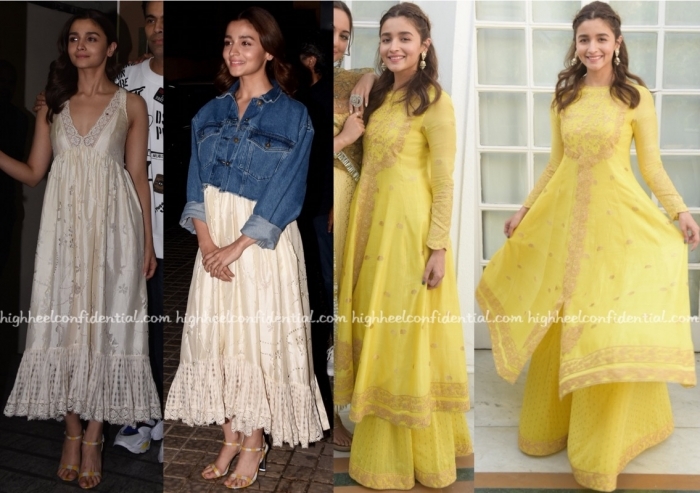 She looks so pretty in the yellow, I also like the Pero dress. She is looking her age and spunky. Loving both the looks after a spate of anarkalis. Doesn’t the dress look like a night dress for pregnant women?